Buffalo State offers a number of extracurricular activities for students interested in politics and diplomacy. Some of these are academic clubs recognized by Buffalo State's United Student Government or by the Office of Student Life. Others are departmental-level clubs. Political science students and faculty are actively involved in a number of these clubs or activities. The Student Political Society (SPS) is the student academic club associated with the Department of Political Science. SPS hosts many events throughout the academic year such as visits and discussions with local politicians, post-election analyses, the ins-and-outs of graduate school, and lectures/discussions on topics of current interest to club members. SPS has a bulletin board next to the political science department chair's conference room (next to the department office) and a group on Facebook. The Student Political Society office is located in B211 Classroom Building. Pi Sigma Alpha is the National Political Science Honor Society.  Buffalo State has held chapter membership in Pi Sigma Alpha since 1983. Membership in Pi Sigma Alpha is by invitation. The chapter faculty advisor will send out invitation letters in early March of each year. The lifetime national membership fee is $35, which is collected by the local chapter (Xi Theta). The initiation fee is the only payment members ever make to the national office of the honor society; there are no annual dues. Students bring a check made payable to Buffalo State Department of Political Science. Honorees are officially inducted into Pi Sigma Alpha at the Political Science Department Award Ceremony (which takes place in late April or early May). The Buffalo State Mock Trial team was created in 2007 as a student club and mock trial competition team. We are affiliated members of the American Mock Trial Association, a national organization that sponsors regional and national undergraduate mock trial tournaments around the country. For the last three, we have competed in the two day Adirondacks Regional Tournament sponsored by the AMTA and held at Syracuse University in mid-February. This is one of about two dozen or so AMTA regional tournaments, and draws about two dozen teams (23 in 2009) from public and private colleges and universities around New York State, Pennsylvania, and New England. In 2009 & 2010, Buffalo State competed against teams from Pennsylvania State University, Hamilton College, and Syracuse University. The objective of the Mock Trial team is to give students hands-on experience with the legal system and trial procedures. Mock trial competitions follow closely the courtroom processes in the “real” world. While the cases are hypothetical, student attorneys must present evidence, conduct direct and cross examinations of witnesses (witnesses are also played by student competitors), follow rules of evidence and trial procedure, and present opening and closing arguments to a two-person panel of judges who score them on knowledge of law, quality of presentation, and their general role playing skills. Many students have joined the Mock Trial team because they have aspirations of attending law school, but all of our students enjoy the law and the courtroom experience as an intellectual exercise. We become a tight-knit group after spending the fall semester preparing the case, developing our arguments, and rehearsing for the February competition. The Mock Trial team consists of students of all class ranks from freshman to seniors; and come from a variety of majors (political science, criminal justice, fashion technology, forensic science, etc.). We encourage any student with an interest in law to join our team and participate in the competition regardless of your major or career interests. While the preparation is intense, particularly during the Fall semester, you will learn the skills of developing an argument and oral presentation that will serve you well in whatever academic and career pursuits you undertake, while making new friends and having fun. Visit our USG Bengal Connect page. The United Nations is a student committee run under the auspices of the Student Political Society. See Dr. Baek for details.